After success as a mainstream songwriter, Jim Lauderdale turned his sights on bluegrass with 2002’s I FEEL LIKE SINGING TODAY, the first of two collaborations with Dr. Ralph Stanley on the Dualtone label. I noticed that Wikipedia has this album listed as being released on the Rebel label in 1999, so perhaps Dualtone bought the masters for this album for re-release in 2002. Whatever the case, I’m glad to own the album. Since the 1979 album with Roland White would not be released for many years, this is Jim’s official first bluegrass album. Since Dr. Ralph is as venerated as any performer in the folk/acoustic/bluegrass field of music, I guess you’d have to say Jim started at the top with his collaborations. Jim and Ralph were familiar with each other prior to recording this project as the two had traded guest appearances on each other’s albums (Lauderdale’s WHISPER and Stanley’s CLINCH MOUNTAIN COUNTRY ). Lauderdale wrote or co-wrote 9 of the 15 tunes on this album and the originals blend in nicely with the bluegrass canon. “Who Thought That the Railroad Wouldn’t Last,” the title track and “Joy, Joy, Joy” (co-written with Robert Hunter of the Grateful Dead are up-tempo tunes that allow the Clinch Mountain Boys to show their wares. Two other Lauderdale originals “Another Sinner’s Prayer” and “Like Him,” feature Ralph Stanley , who excels in gospel performances, whether with accompaniment or a cappella. Since bluegrass audiences always want some of the genre’s traditional fare, there are six classics covered, including “You’ll Find Her Name Written There (Harol Hensley), Maple On The Hill” (Gussie Davis) “What About You” (Jack Anglin, Jim Anglin, Johnnie Wright), “This Home Is Not My Home” (traditional), “Harbor of Love” (Carter Stanley), and ”Who Will Sing For Me” (Carter Stanley). Who will sing one song for me? This is a solid A. Better yet, another such collaboration would follow. Ralph Stanley’s 21 year old grandson is the third generation of his family to have a music career. His grandfather is of course a legend, while father Ralph II is affine singer in his own right. Nathan has an attractive although not very distinctive voice, and his song choices and arrangements here are very tasteful, mostly in the hinterland of country and bluegrass. This album is a religious one, so it is appropriate that it comes to our attention in Easter week. 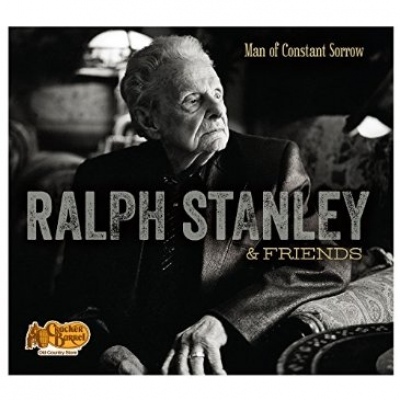 the general mood is a warm, positive one well suited to Stanley’s vocal style. Nathan Stanley’s voice is smoother sounding than his father or grandfather, and it works particularly well on ballads. He also has a great ear for a melody, as evidenced by the songs chosen here. There are a number of beautiful ballads included. The metaphorical ‘Piece Of Clay’ about the way God remakes people is perhaps my favourite. Almost as lovely are ‘Where No One Stands Alone’ and ‘Where Will You Go’. ‘I Know Jesus Will See Me Through’ features pretty harmonies from Sonya and Becky Isaacs. The title track is a gently melodic expression of gratitude to God with lovely harmonies from Southern Gospel singer Wes Hampton, who makes another appearance on ‘Lord You’re The Best Thing’, another pretty tune. ‘Let Me In Your Heart’ picks up the pace. The harmonica led ‘Would You Be Ready’ (a duet with gospel singer Adam Crabb) is quite cheerful sounding despite its pointed lyrical criticism of those who do not live what they preach. The pensive ‘Heart That Will Never Break Again’ remembers a dying father with faith he is going to “a better place”. There are a number of special guests familiar to country fans. 80s star T Graham Brown joins Nathan for an unexpectedly bluesy and very enjoyable version of the Tanya Tucker hit ‘Baptism Of Jesse Taylor’. Jeff Bates adds a gritty harmony/duet to the traditional ‘Green Pastures’, which is one of my favourite tracks. Vince Gill provides a sweet counterpoint on ‘Hand In Hand With Jesus’ backed by a string arrangement. Grandpa Ralph shows up on ‘You Can’t Make Old Friends’; Ralph is sounding very old, but there is a palpable warmth and familial affection in their duet which really works. I might even prefer it to the recent cut by Dolly Parton and Kenny Rogers just for that eomotional connection. I wasn’t sure what to expect from this album, but have been impressed by Nathan Stanley. I look forward to hearing more from him. When his mainstream career wound down, Ricky Skaggs decided to pick up his mandolin and returned to his roots in bluegrass. He didn’t do it half heartedly – this is an uncompromisingly hard bluegrass set with high lonesome vocals, tight harmonies and nimble picking. Produced by Skaggs himself, the album featured and credited his road band Kentucky Thunder, and was released on Rounder Records. Opens with a spoken statement by the late gospel bass-vocalist J. D. Sumner, “country rocks but bluegrass rules” then the band swings straight into an uncompromising Bill Monroe-composed instrumental, ‘Get Up John’. There are a couple of other instrumentals, another from Monroe bookending the project, and one composed by Ricky midway through the set. They break up the vocal tracks but do feel a bit samey. Virtually all the songs deal with tragedy and lost love. 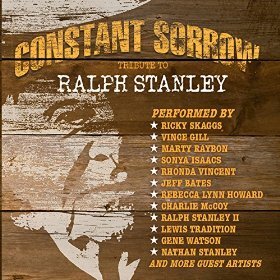 In his teenage years, Ricky was a member of Ralph Stanley’s Clinch Mountain Boys (along with Keith Whitley), and that experience seems to be the overwhelming inspiration of this album. The Stanley Brothers are a major source of material, with two songs written by each of Carter and Ralph. Carter’s ‘Think Of What You’ve Done’ offers a measured reproach to the woman who has broken his heart by leaving him for another man. It is excellent, as is the rhythmic ‘Ridin’ That Midnight Train’ with another broken heart lyric about leaving town with the blues in similar circumstances. Ralph’s ‘Little Maggie’ with its high mountain lead vocals has a very pure heritage feel, while the perky ‘If I Lose’ is the record’s sole happy song, with love making gambling losses unimportant. Although they did not write it (the credit goes to Southern hymn writer Albert Brumley), the somber spiritual classic ‘Rank Stranger’ is probably also best known as part of the Stanley Brothers’ repertoire. Ricky’s version is a real highlight of this record, with gospel trio vocals from the band. The quieter but intensely mournful ‘Another Night’ is another fine song dealing with the pain of lost love, as is the Earl Scruggs number ‘Somehow Tonight’. ‘I Hope You’ve Learned’ is a reproach from a man in prison to his cheating wife, wondering if she will wait for him when he is finally released. A fine song in the high lonesome style, one is, however, left wondering what exactly he did, propelled by his jealousy (wifebeating? ), and the fact that he is still blaming her for it is rather troubling. This is one case where I don’t think I’d be waiting. The story is so melodramatic it might be hard for some contemporary listeners to take seriously, but Ricky’s dead straight reading gives it some impact, and it fits into a long standing tradition of songs of this kind which are a valuable part of bluegrass (and more general country music) heritage; it was recorded by country star Ferlin Husky in the ‘50s but has the feel of something 20 years older still. This is a hard record to assign a grade to, as there is nothing to criticise, with excellent musicianship but it is not an easy listen for those with little exposure to bluegrass, and there is not much variety. I did enjoy it a lot, but it isn’t one of my favourite Skaggs albums, as I tend to prefer those where he mixes country and bluegrass. Those with less of a taste for bluegrass without any country elements may want to pass. Randy Travis is usually credited with kicking off the New Traditionalist movement of the mid-1980s, but that movement’s origins actually preceded Travis’ 1986 breakthrough by a good five years when both George Strait and Ricky Skaggs made their major label debuts. Skaggs, in particular, was an unlikely success story, having paid his dues on the bluegrass scene for a decade before joining Emmylou Harris’ Hot Band and then eventually striking out on his own. A native of Cordell, Kentucky, and a former child prodigy, he took country music by surprise when his blend of bluegrass and traditional country took him to the top of the charts at the peak of the Urban Cowboy era. Skaggs was born on July 18, 1954. He was playing the mandolin at the age of five, and made his Grand Ole Opry debut at age seven. During that time, he also performed with the legendary Flatt and Scruggs. In 1971 he teamed up with another up-and-coming Kentuckian named Keith Whitley and joined Ralph Stanley’s band. He later went on to become the bandleader of Boone Creek before turning his attention to mainstream country. He joined Emmlyou Harris on the road, and writing the arrangements for her 1980 bluegrass-flavored masterpiece Roses In The Snow. He had released his first solo album That’s It in 1975 and in 1979, Sweet Temptation, which he produced himself, was released by Sugar Hill Records. By 1981 Ricky was ready for the big leagues. Epic Records signed him to a record deal and granted him permission to produce his records himself — a most unusual concession for a still unproven 27-year-old newcomer. Waitin’ For The Sun To Shine was released later that year and produced four hit singles, including his first #1 hits, “Crying My Heart Out Over You” and “I Don’t Care.” In 1982 he became the youngest artist up to that time to be inducted as a member of the Grand Ole Opry and in 1985 he was named the CMA’s Entertainer of the Year. Skaggs scored ten #1 hits between 1981 and 1987. After that, his chart success began to taper off, though he continued to enjoy some success for a few more years. In 1989 Dolly Parton asked him to produce her back-to-basics album White Limozeen. Later that year he scored his final #1 “Lovin’ Only Me” from his Kentucky Thunder album. 1989’s “Let It Be Me” was his final Top 10 hit. In 1995 he signed with Atlantic Records and released two more albums which enjoyed only moderate success. During the first decade of the new millennium, Skaggs founded his own record label and returned to his bluegrass roots, releasing a string of critically acclaimed albums and winning nine Grammy Awards in the process. His latest effort, Music To My Ears, was released on September 25th. We hope you enjoy our look back at the career highlights of one of the most talented musicians in the history of bluegrass and country music, throughout the month of October.